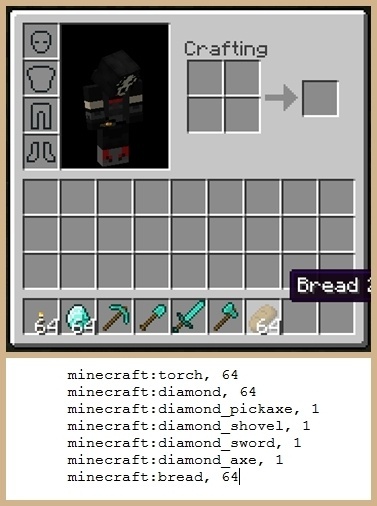 Starting Inventory Mod 1.12.2/1.11.2 is a small game about gameplay. More specifically, it will give you the “prime” item to survive in the game easier. 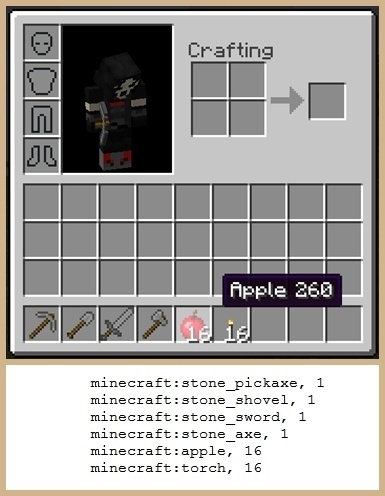 With StartingInventory, a new set of item includes 1 set of stone tool (except Stone Hoe) and 16 relays and 16 apples to use until you are stable in housing. Mod requires: bspkrsCore. As usual, when installing mod, it will automatically install in the game. If you run the program, it has an error and then you have to install that mod! Download Forge Installer, Bspkrs Core and Starting Inventory Mod. Put Starting-Inventory.jar file into mods folder and then run Minecraft. Done!